You may have a very specific human resources issue you need guidance on or you may want ongoing help with a strategic issue. Perhaps you want to avoid the expense of employing a full time HR professional but still need expert help with employee recruitment, retention and development. Sussex HR can help. None of the above? No problem. 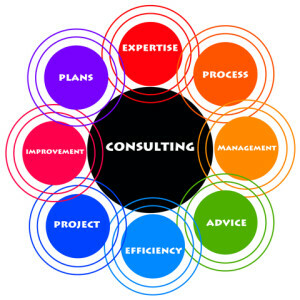 Sussex HR’s management consultancy services are completely flexible. We make sure we understand your business and its goals to provide the exact HR support you need. Many HR issues arise because of imprecise drafting of contracts. Sussex HR will ensure your employment contracts don’t leave your business vulnerable and are set out clearly so your employees understand them. Sussex HR provides bespoke HR training so you can develop skills and the confidence to deal with employee issues yourself. Finding the right candidate for the job can be difficult. From writing the advert so it attracts the best applicants to using selection techniques effectively, you invest a great deal of time and energy finding the right person. Sussex HR makes sure your staff recruitment is time-efficient, cost-effective and helps you find the best candidate for the post. Performance management is about developing your employees to their full potential. It’s also about recognising when someone isn’t performing as well as they could, and identifying ways to help them. Good performance management helps people develop skills which benefit your business. It also helps employee retention as your staff feel valued and better able to do their jobs. Find out how Sussex HR’s consultancy and management services can enhance your company’s performance. or phone 0800 074 1066 or 07905 155707 and take control of your HR management today. Lynda Goncalves is Sussex HR’s Principal Consultant. A member of the Chartered Institute of Personnel and Development, she has developed her HR expertise across a wide range of organisations. Working within both the public and private sectors has given Lynda a comprehensive understanding of HR practices and issues. Her clear-headed, sensitive and focused approach has consistently delivered results, even in such challenging areas as trade union negotiations, and helping to deliver strategic and procedural change. Sussex HR is the trading name of Sussex Human Resources Limited | Registered in England and Wales, company number 07832618. VAT registration 127 3098 17. Registered office: 20 Havelock Road, Hastings, East Sussex, TN34 1BP.